Network Support for Sharing. 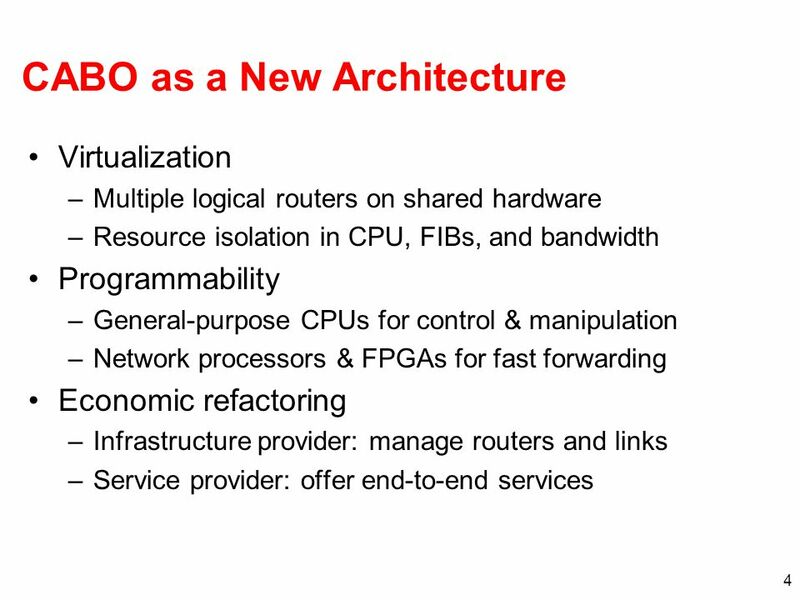 2 CABO: Concurrent Architectures are Better than One No single set of protocols or functions –Different applications with. 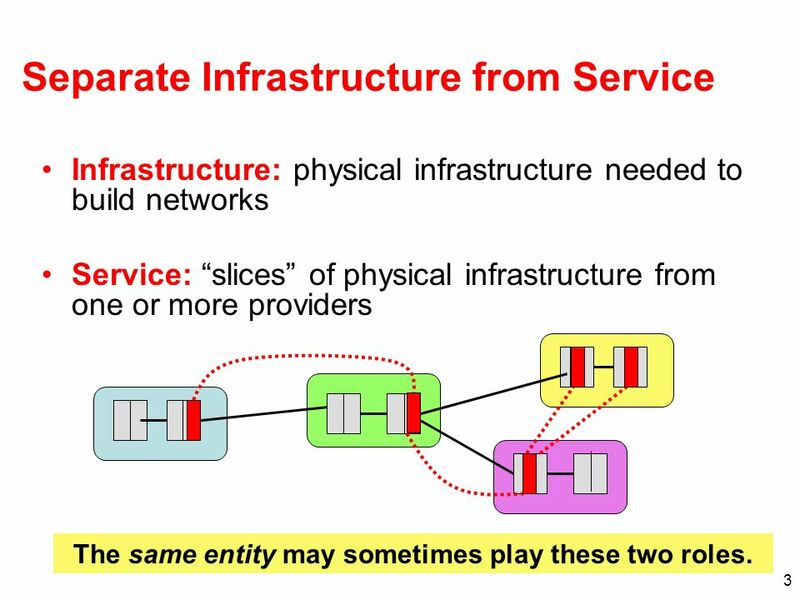 3 3 Separate Infrastructure from Service Infrastructure: physical infrastructure needed to build networks Service: slices of physical infrastructure from one or more providers The same entity may sometimes play these two roles. 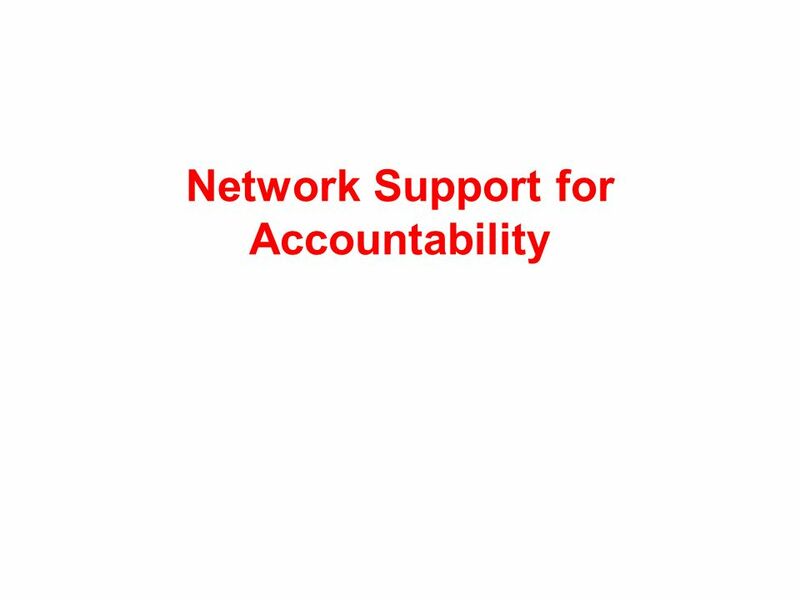 Download ppt "Network Support for Sharing. 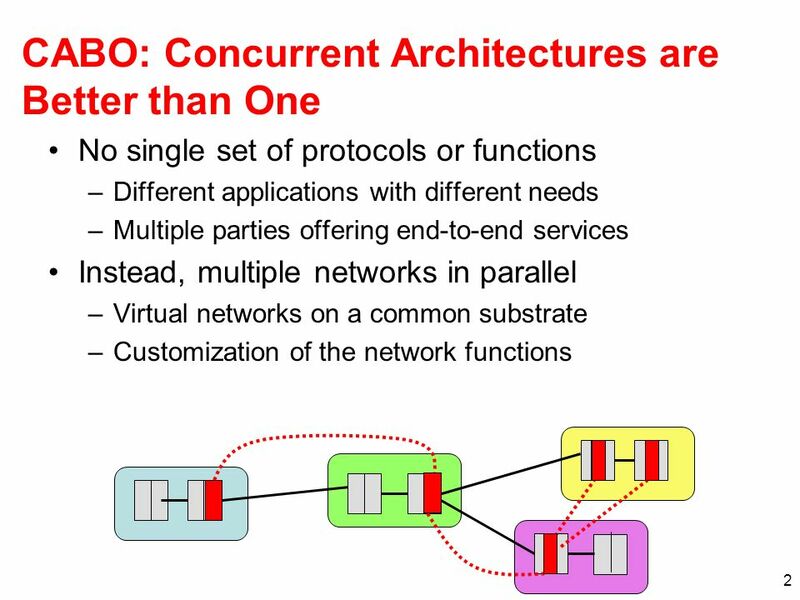 2 CABO: Concurrent Architectures are Better than One No single set of protocols or functions –Different applications with." 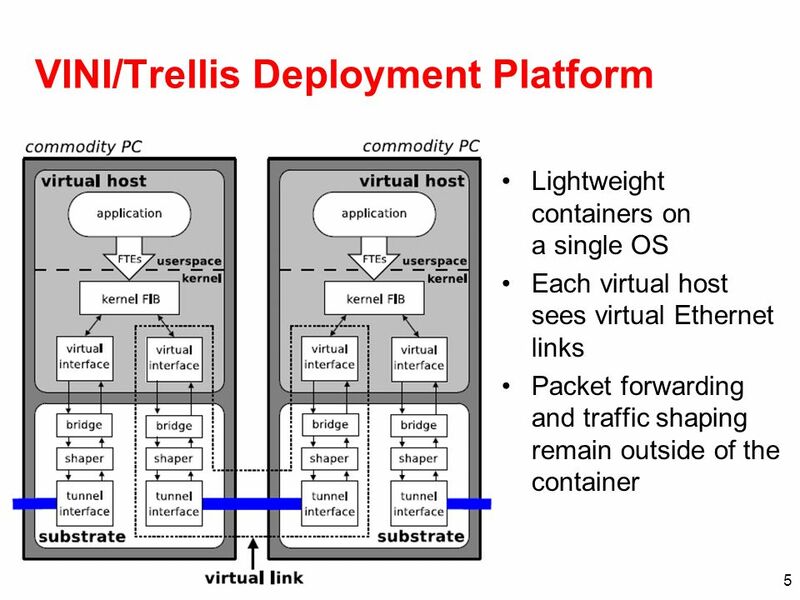 Building Fast, Flexible Virtual Networks on Commodity Hardware Nick Feamster Georgia Tech Trellis: A Platform for Building Flexible, Fast Virtual Networks. Secure Routing Panel FIND PI Meeting (June 27, 2007) Morley Mao, Jen Rexford, Xiaowei Yang. 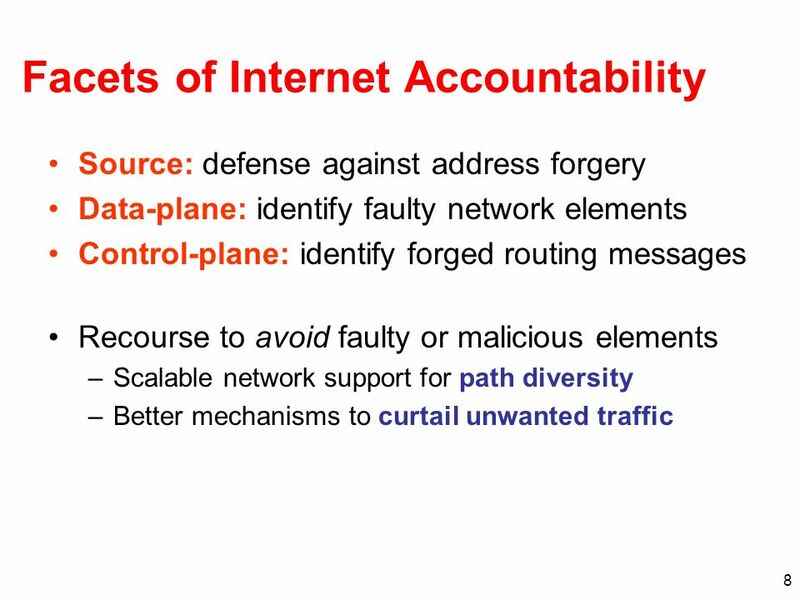 Using Network Virtualization Techniques for Scalable Routing Nick Feamster, Georgia Tech Lixin Gao, UMass Amherst Jennifer Rexford, Princeton University. Approaches to Multi-Homing for IPv6 An Architectural View of IPv6 MultiHoming proposals Geoff Huston 2004. Architectural Approaches to Multi-Homing for IPv6 A Walk-Through of draft-huston-multi6-architectures-00 Geoff Huston June 2004. 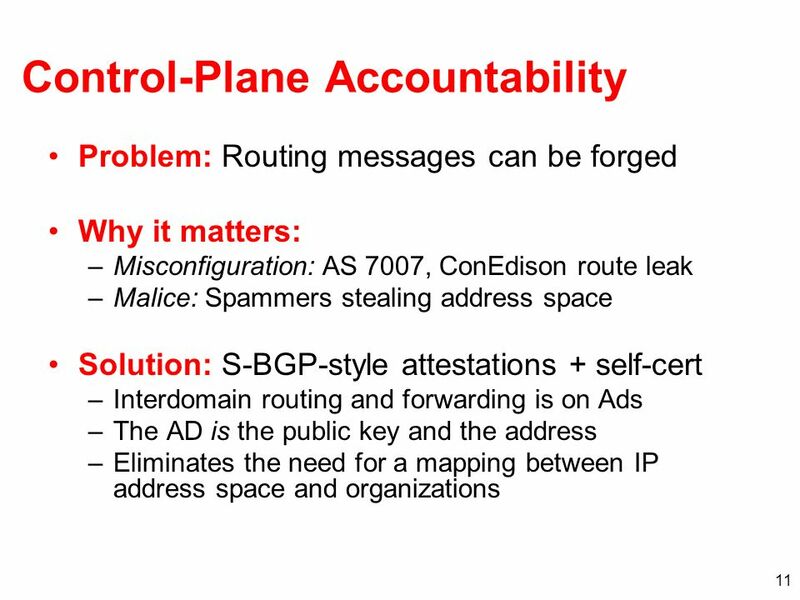 Identity and Locators in IPv6 IAB Meeting IETF 60 August 2004. SHIM6 Update Geoff Huston Kurtis Lindqvist SHIM6 co-chairs. 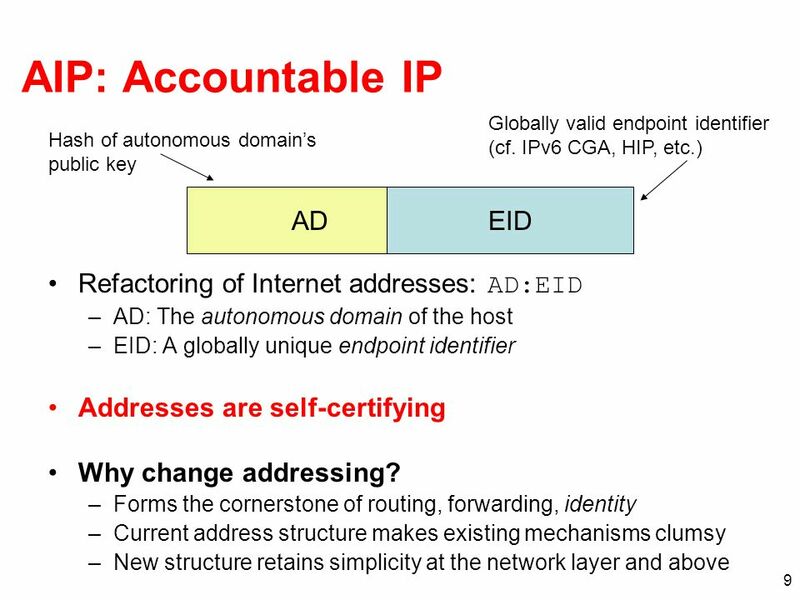 1 An Update on Multihoming in IPv6 Report on IETF Activity IPv6 Technical SIG 1 Sept 2004 APNIC18, Nadi, Fiji Geoff Huston. Network Virtualization Nick Feamster, Georgia Tech Lixin Gao, UMass Amherst Jennifer Rexford, Princeton NSF NeTS-FIND PI Meeting. Data-Plane Accountability with In-Band Path Diagnosis Murtaza Motiwala, Nick Feamster Georgia Tech Andy Bavier Princeton University. Research Summary Nick Feamster. 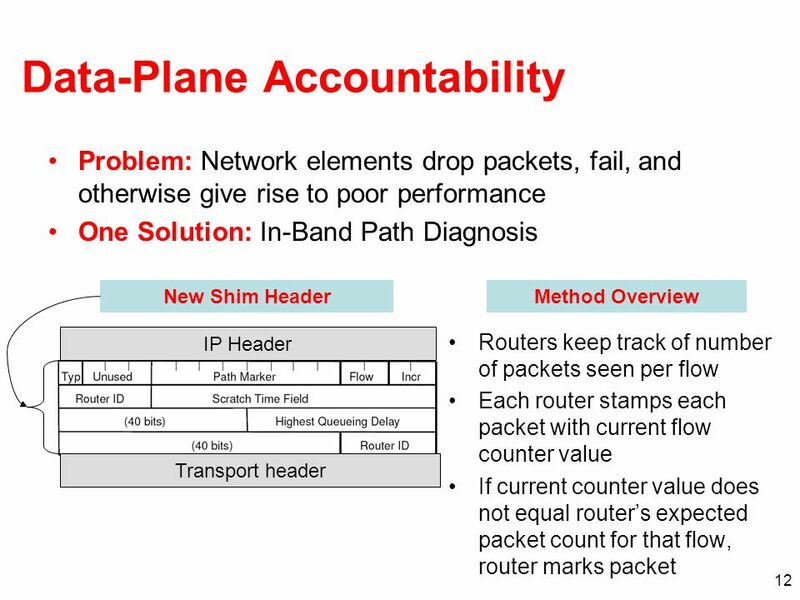 The Big Picture Improving Internet availability by making networks easier to operate Three approaches –From the ground. Cabo: Concurrent Architectures are Better than One Nick Feamster, Georgia Tech Lixin Gao, UMass Amherst Jennifer Rexford, Princeton. 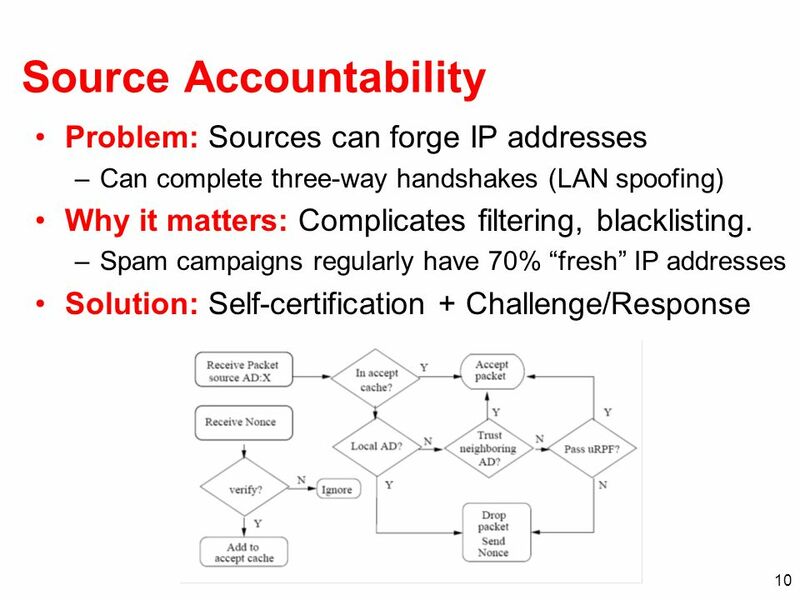 Network Support for Accountability Nick Feamster Georgia Tech Collaborative Response with David Andersen (CMU), Hari Balakrishnan (MIT), Scott Shenker. VINI Overview. PL-VINI: Prototype on PlanetLab PlanetLab: testbed for planetary-scale services Simultaneous experiments in separate VMs –Each has root. IP Security Nick Feamster CS 6262 Spring IP Security have a range of application specific security mechanisms –eg. S/MIME, PGP, Kerberos, SSL/HTTPS. My Experience Writing an NSF NeTS FIND Proposal Nick Feamster Georgia Tech. Holding the Internet Accountable David Andersen, Hari Balakrishnan, Nick Feamster, Teemu Koponen, Daekyeong Moon, Scott Shenker. Path Splicing with Network Slicing Nick Feamster Murtaza Motiwala Santosh Vempala.